This blog was created to help Fast Lube owners and managers get up to date information in the Oil Change app. Oil Change is a FREE iPhone and Android app that allows you to conveniently shop for the best rated Fast Lube shops, Dealership service departments and independent auto repair shops in your local area. Shop for an oil change and other services by distance and price and find coupons for saving only found on the app! Download it at the Apple store or Android Marketplace. 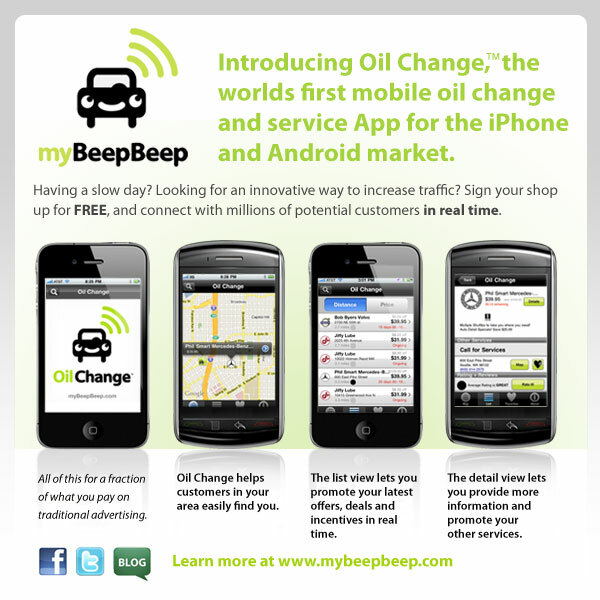 Founder of myBeepBeep Media and the Oil Change app for iPhone and Android. I'm passionate about Music, Baseball, Cars and creating apps.